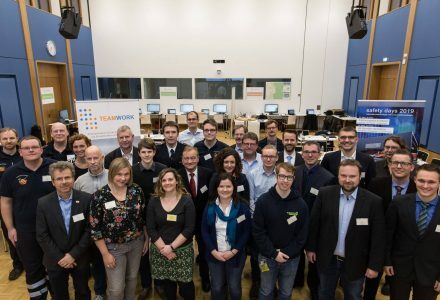 We are an initiative of researchers of Paderborn University, District of Paderborn and the City of Paderborn. We strongly cooperate with the university and are supported by an advisory board. 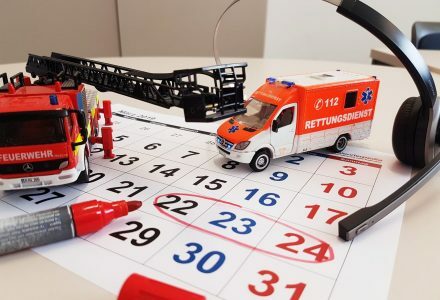 We investigate and realise together with our partners innovative concepts in the field of „Digitisation for Civil Safety“ with a dedicated focus on human-centered design aspects. We identify needs of the civil safety and potentials through information technology and evaluate developed concepts and technical components in practice. 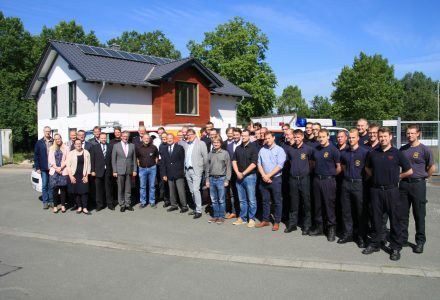 More "[EN] Erste Übung im Forschungsprojekt IRiS und Termine 2019"
More "Closing event in the research project TEAMWORK"
More "Noch 112 Tage bis zu den safety days 2019 in Paderborn"
More "Intelligent Rescue in the SmartHome (IRiS)"
More "Testing a collaboration concept for open data projects"
More "Crisis simulation for the collaboration of emergency forces and the population (TEAMWORK)"
More "First digitally controllable siren"
More "Mobile Information System for Process Optimisation in Fire Services and Public Administrations (Mobis Pro)"
© 2019 safety innovation center e.V.